“It’s been a learning curve,” said Sergio’s son, Luca Gamberini. "We completely lost the crops four times, but it didn’t really matter because we have such great growth rates." “It’s so kind of sci-fi to see these two different forms of life interact,” Luca Gamberini said. 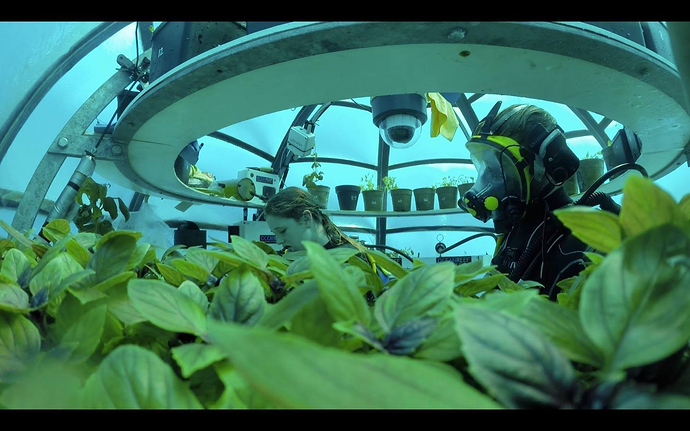 'Nemo's Garden' seeks possibility to grow food underwater in places with harsh climates. In the homeland of pesto, a group of diving enthusiasts have come up with a way of growing basil beneath the sea that could revolutionise crop production in arid coastal areas around the world. The pungent green herb has long been synonymous with the steep, terraced cliff-sides of Liguria, the northern Italian region known for its spectacular Riviera coastline and for producing one of the world’s best-loved pasta sauces. Those two standout features of the region could now become even more intimately associated thanks to the pioneering efforts of Sergio Gamberini. 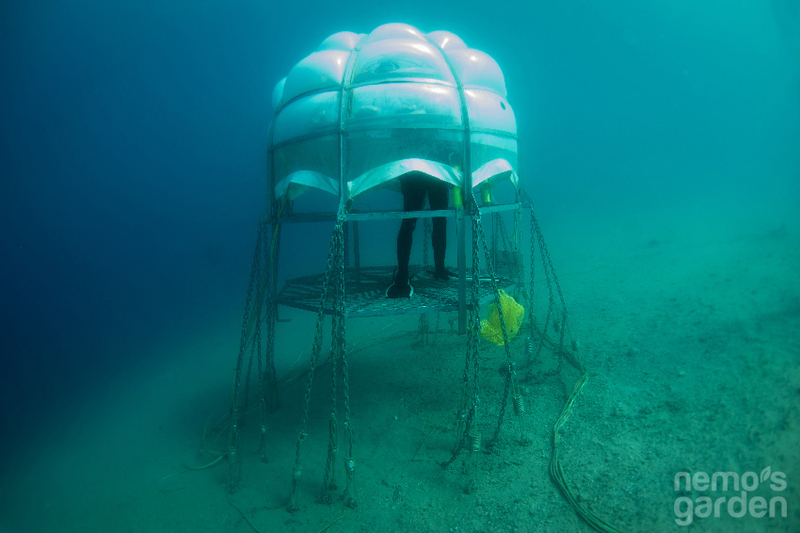 A diving nut and specialist in under-water communications, Gamberini has begun growing basil in large plastic spheres anchored to the sea bed 100 metres off shore and eight metres below the surface in an experiment he has dubbed “Nemo’s garden”. “The idea came to me because I wanted to create more interaction between the surface and the diving activity,” Gamberini told AFPTV. Having started with a simple plastic ball into which he place a tub with herb seeds planted in compost, he is now in his fourth season of production from an under-water garden comprised of three “biospheres” which he is allowed to keep in the water for three months a year. Evaporation ensures humidity between 80 and 90 percent inside the spheres, the condensation provides the necessary moisture and, even well below the waves, there is enough light in this sunny corner of Europe to ensure the plants themselves regenerate their oxygen supply via photosynthesis. Having proved the system works, Gamberini’s challenge now is to prove that it can produce herbs and vegetables in a cost-efficient way. The primary advantage of underwater growing is the stability of thermal conditions. “The sea maintains the temperature without a great difference between day and night,” said Gianni Fontanesi, who is in charge of running the project. In late June, at the start of the European summer, the water on the coastal shelf of the northern Mediterranean is 25 degrees C (77 degrees F), while inside the spheres the temperature reaches 29 degrees C.
The plants are thriving in an environment where they are protected from the insects and parasites that would normally be giving a basil grower headaches at this time of year. The results so far have have been encouraging, with the spheres producing more densely-leafed plants than is usual—perfect for being ground up with pine nuts, parmesan and olive oil to produce authentic Ligurian pesto. An experiment with lettuce is already underway and mushrooms, tomatoes, tomatoes and green beans will all be given a go this summer. “In the longer term, this could be a solution for arid regions next to the sea,” said Gamberini, who admits there is still much work to be done to work out how to apply his principles on a larger scale.